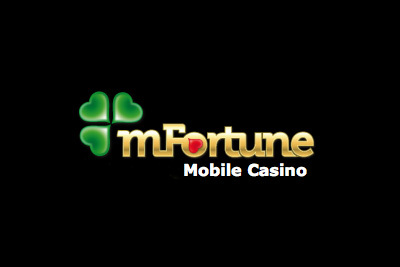 Mfortune is a UK casino owned by Intouch Games, and is licensed and regulated by UK gambling commission. Everything revolves around their priority which of course is providing the best quality to their loyal community. According to that, over the years of working, they also published many online casinos and mobile slot games. All of those games can be only found on their official web page, but that should not be seen as a problem, as the new players can come and have their first experiences for free because the mFortune Casino as already said, rewards EVERYONE with starting gambling money. Unlike at other casinos claiming the bonus has never been easier as there are no needs for typing in free bonus codes at mFortune Everything that the players win, can also be kept and withdrawn to the bank account. Besides the slot games, this casino offers poker and bingo rooms through which out the BB mascot is going to guide you. After signing up, all of the games from casino become free to download. You can do that across all the platforms such as desktop and mobile ones, and enjoy the pokies which can played with as little as 2p per line! As have been said at mFortune Casino official site, they aim to process withdrawals for depositing customers within 3-4 working days (being Monday to Friday, excluding Bank Holidays) of a request. Withdrawals for non-depositing customers will take 10-12 working days. However, you can always ask for help via mFortune live chat support. £5 No Deposit Bonus: Is received and claimed after signing up. You can win up to 50 free spins by betting 10p per line. It is all up to the players to decide in which way they are going to spend this free deposit money, and are free to keep everything that they win from it! 100% Deposit Match: Not only do you receive starting deposit money, the mFortune rewards their players with another 100% bonus of primarily placed deposit. For example, by making a deposit of 5£, the casino adds another 5£. 10% Deposit Match: This bonus is a long term one and is received every time a player makes a new deposit. The player is rewarded with 10% worth of the amount placed in a deposit. Refer a Friend Bonuses: By spreading out a nice word about the casino and recruiting a friend, Mfortune rewards you with another 5£ gambling money. But that is not it, as you are also going to receive 50% of your recruited friend’s deposit money! All of their bonuses are activated and claimed instantly as there are no Mfortune bonus codes. Besides the slot games, casino offers poker and bingo ones too. Some of the most popular slots that are being displayed on their home page are Reel Fruity Slot, Robinson Riches, Sherlock, Cat and Mouse, Double Your Honey and all the others. All of the games are featuring nice graphic design along with joyful mostly cartoonish animations, and also some of the interesting bonus features that are coming as a surprise in each of them. By the way, Cat and Mouse slot is one of mFortunes’ most popular games with Progressive Jackpot. Mfortune Casino comes with everything that one gambler could wish for. Mfortune 2019 bonus codes will make it possible for the players to be flooded with money as they are going to unlock some of new bonuses that are coming in the future!